I’ve owned about half a dozen Leatherman multi-tools since my days in the Army. In the 90’s while a soldier with limited access to tools I put the Leatherman’s through their paces. I managed to break quite a few of them doing really stupid things which they weren’t designed for but the company always replaced the tool no questions asked. 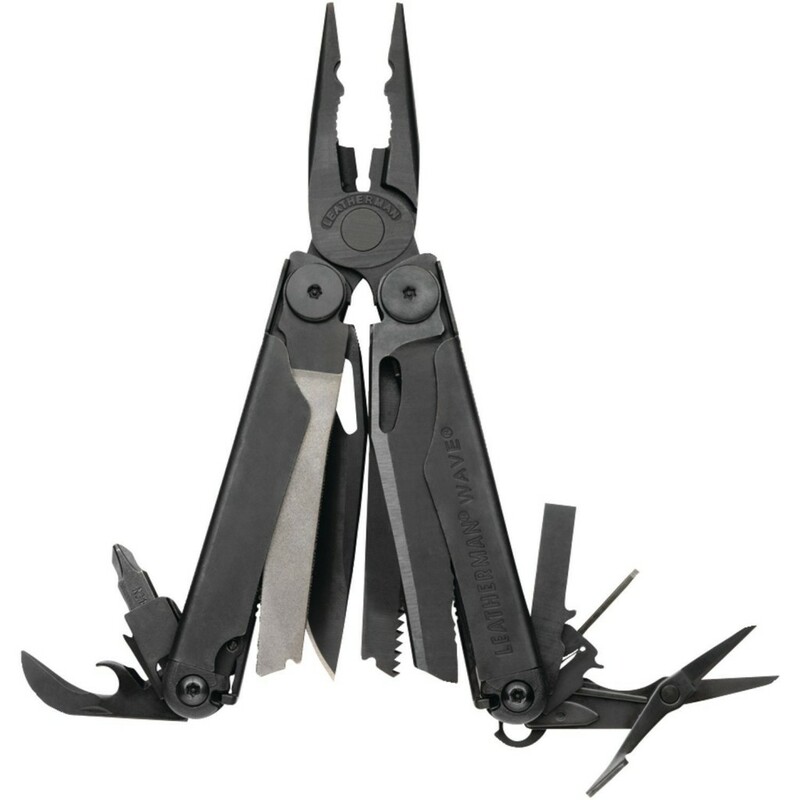 During my younger more adventurous days I bought a couple of Gerber multi tools as well but they broke a lot faster and their lack of a needle nose pliers made me become a Leatherman fan. My most recent edition is a black Leatherman Wave with a MOLLE sheath for $90. I mounted this tool on my training gear so I always have a Leatherman handy when I go out. The two features that made this a must have was the MOLLE sheath and the small flat head screw driver that I can use to adjust locking screws on sights and my glasses. If you have glasses and are about to lose a screw you know how important that option is. The overall fit and finish of the black Leatherman Wave is good. It’s a little stiff at first but that goes away with use. The black finish could be better and it comes off on your hands for the first few dozen times you handle it. That too will go away after a break in period. When I was reading the reviews on this multi-tool some people said as much and suggested getting the stainless steel one but you know the old adage “Once you go black you never go back.” Tongue in cheek jokes aside I’m very happy with the black version of the Leatherman Wave. This entry was posted in Edged Tools and tagged Black Leatherman Wave, Leatherman MOLLE, Leatherman Molle Sheath, Leatherman Wave on April 2, 2014 by GunGuy.